It is evident that the Obama administration has taken comprehensive measures to mitigate the damage of the Deepwater Horizon BP Oil Spill in the Gulf of Mexico. On May 12th it released this statement: “The President has been clear from the beginning: his Administration will not rest until the leak is contained and cleaned up and we will aggressively pursue full compensation for damages from BP and other responsible parties.” It is also worth noting that President Obama and several members of Congress withdrew their support for increased offshore drilling in the United States after the oil spill. Their actions were prudent, responsible and commendable. That said, I believe we are experiencing a crisis of leadership. The United States influences how the rest of the world lives. The nation has a responsibility that comes with its privilege. Unfortunately, national leaders have failed to push for the dramatic change required to protect people, our economy and environment. We need to address the over-consumption of oil and oil byproducts (e.g. plastics) in America. Whether we shift to a domestic supply of oil or continue to drill overseas, Americans have to face the hard reality that most of our lifestyles are unsustainable. We must begin to conserve and treat our resources as the limited and valuable inheritance they are. Many officials have discussed the need for innovations such as smart grids, nuclear energy and improved photovoltaic panels. However, few have pressed for the clear and urgent need for conservation. Consuming less is not a popular topic among business or government leaders though it is a necessary one. Innovation is very important but alone will not solve our problems. Creativity and inventiveness will offer us new and improved options for the future but today we must act with resolve and as stewards of a natural wealth by consuming and wasting less. I hope more of America’s national leaders will take a stance for what is good for the people of the United States and the world by teaching conservation and shifting to a more sustainable lifestyle. We have done it before. 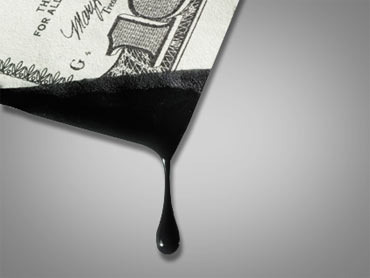 In fact, after the oil crisis of the 1970’s, America curbed its use of oil for more than 20 years. Oil prices dropped as demand decreased. To read more about current legislation to protect the Gulf visit click here.